This I must say…this is the first album that I had honour to do, which I could not listen to while writing this review. 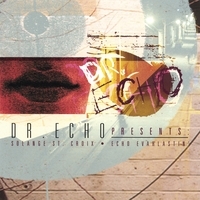 For Doctor Echo and Solange mesmorized I with their sound! Never heared about the two a dem, but after this first upfull, joyfull, lovely meeting, I hope many more a go follow! All kinda style a music from all round the world so perfectly mixed by di Doctor. Jazzy, African, you name it, di Dr got it J Dub extravaganza! In combination with the sweet voiced Solange who whith her socially, conscious lyrics takes yuh into a mystic world. I could go in to details about weh dem from an all dem kinda king…but I wont. Just want to pay I man Raspec to di Doctor an Solange deh! And thank them for this conscious, surprising lovely an upfull trip. Man a tel yuh, if you are in to di Rootical/Psychedelic Dub, in combination with conscious lyrics, this album is a must for you, I for one am happy to have this one in I collection.